In recent decades the Greek island of Samothrace has suffered a series of environmental, social and financial hardship, but there are reasons to hope. 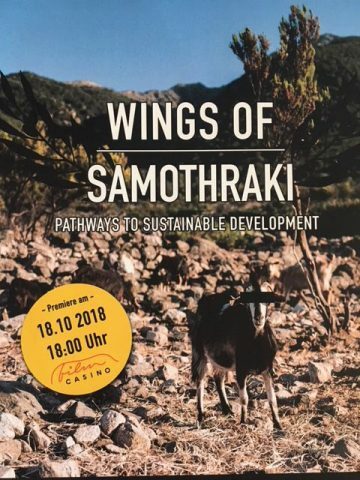 The film “WINGS OF SAMOTHRAKI – Pathways to Sustainable Development” follows and documents an ambitious research project that aims at assisting island’s inhabitants in establishing a vision of a sustainable future for Samothrace. The research project, led by the Austrian Professor Marina Fischer-Kowalski and supported by an international research team depends on the active participation of the local community. It aims at addressing current challenges by developing long-term strategies to maintain a balance between economic and social well-being and the preservation of the island’s environmental and cultural assets. This example can inspire similar efforts around the world. The film had its premiere at 18. October 2018 in Filmcasino in Vienna.